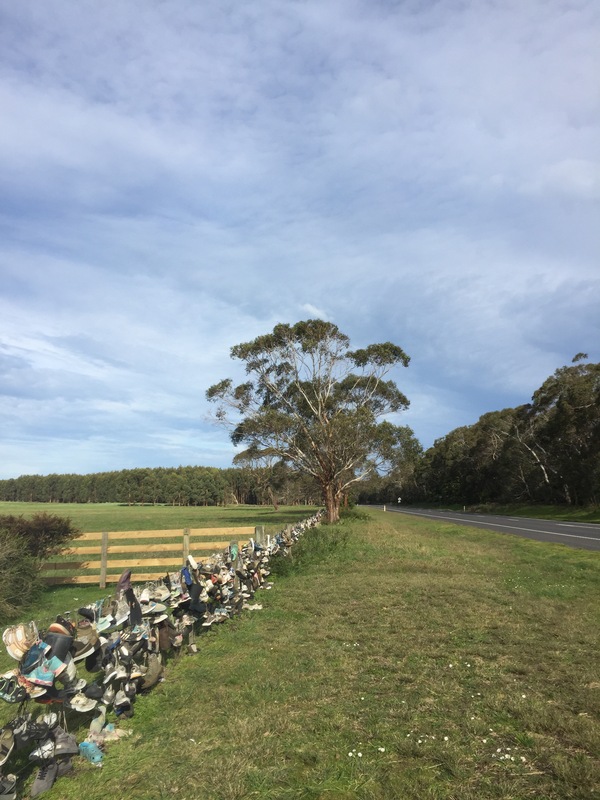 The fence, with shoes tied along it’s length, runs for some way on the Princes Highway at Tyrendara. Pairs and pairs of shoes for hundreds of meters. We later passed another fence where a farmer was doing the same with dead foxes. It looked like it was catching on and explained the many warning signs of poisoned bate for people out walking with their pets. It’s at the first right hand corner in the road after Mepunga East travelling east on the Great Ocean Road. It was lovely to meet you. Keep in touch.